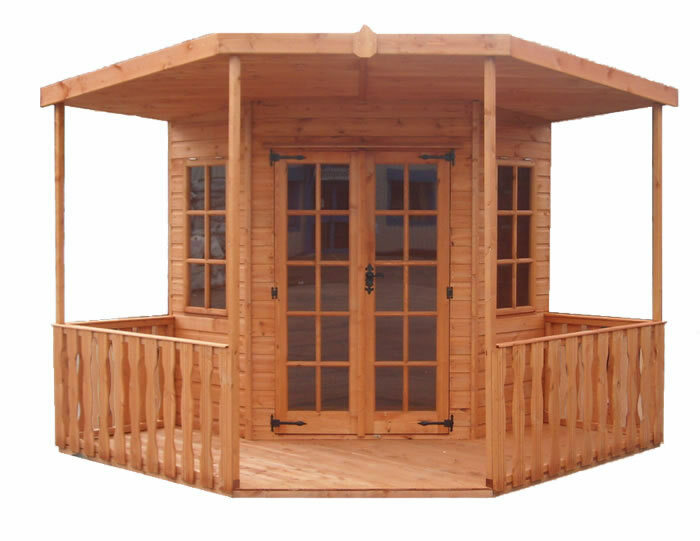 The Blenheim summerhouse is designed to sit in a corner position in your garden. The building features an unusual 3' veranda with a roof overhang. The summerhouse has plenty of internal light with teo top hung Georgian glazed windows, and fully glazed Georgian style double doors.